Internet Archaeology is a journal but some articles are monograph length and they may contain 100s of images or link to or integrate large sets of data. 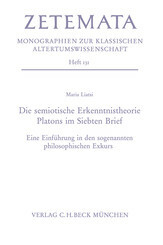 These e-monographs have been brought together in one place to form an E-Monograph series. This is not a separate digital publication (all remain listed as articles in their respective issues) but our aim is to showcase and highlight these particularly large bodies of work and to remind potential authors of the publishing opportunities available via Internet Archaeology. 22 Tim Williams The landscapes of Islamic Merv, Turkmenistan: Where to draw the line? Have you got an idea for an e-monograph? Visit our Guidelines for Authors for more information on how to submit a proposal. Peints sur des plaquettes de bois précieux ou sur de la toile de lin, les portraits du Fayoum sont datés de la période romaine: du Ier au IVe siècle ap. J.-C.
Il en existe quelques milliers conservés dans les musées depuis que W. M. Flinders Petrie découvrit en mars 1888 "un immense cimetière d'époque romaine avec des chambres tombales en brique contenant encore les corps de leurs propriétaires". L'émotion le saisit lorsqu'il aperçoit, encore fixé sur sa momie, le premier portrait, "une jeune fille magnifiquement dessinée, dans de douces teintes grises. La majorité des portraits funéraires présentent les visages grandeur nature. Ils doivent assurer au défunt un visage dans l'au-delà identique à celui de sa vie sur terre. Ils sont très expressifs, même après 2000 ans d'oubli. 2e quart IIe siècle ap. J.-C.
2e tiers IIe siècle ap. J.-C.
253 - 268 ap. J.-C. This is an attempt to collect Sappho's entire work together in one page — with Greek originals, succinct translations, and commentary. When I first searched for Sappho's poems on the web, I found that most sites used out-of-date translations and numberings, with no original Greek. 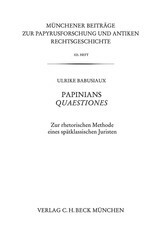 I wanted a complete work to peruse at leisure, with annotations and explanations throughout. Whilst this page is still far from acheiving the goal of being a complete and readable edition of Sappho, it's still hopefully quite useful. If you're new to Sappho, it's worth reading Wikipedia's introduction to her before starting on the poems. There's an awful lot of misinformation out there, so getting a good feel for the biographical and textual issues before you start on the poems will probably help you to enjoy them more. 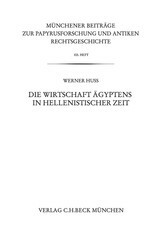 WÖRTERBUCH DER AEGYPTISCHEN SPRACHE im Auftrage der deutschen Akademien hrsg. von Adolf Erman und Hermann Grapow. Bd. I-V.
Словарь разбит на файлы в соответствии с алфавитным порядком. В тех случаях, когда конец одной буквы и начало другой приходятся на одну страницу, эта страница в соответствующих файлах повторяется. Файлы объемом свыше 5 мб разделены на две части. Тома I-V отсканированы и предоставлены в наше распоряжение Еленой Певчевой. Том VII отсканировал и предоставил в наше распоряжение мистер D. Charles Pyle (Salt Lake City, USA). 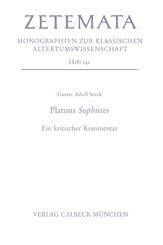 DIE BELEGSTELLEN zu WÖRTERBUCH DER AEGYPTISCHEN SPRACHE. Bd. I-V.
Berlin, 1940 (II), 1951 (III), 1953 (IV, V), 1958 (I). Все тома приложений, за исключением тома II, имеющего особую структуру, разделены на 2 части: текстовую (pt1) и иероглифическую (pt2). Внутри каждой части файлы разбиты по объему. II, III и IV тома отсканированы и предоставлены в наше распоряжение Владиславом Киселевичем. The Edgar J. Goodspeed Manuscript Collection comprises 68 early Greek, Syriac, Ethiopic, Armenian, Arabic, and Latin manuscripts ranging in date from the 5th to the 19th centuries. The acquisition of these hitherto unknown manuscripts was spearheaded by Edgar J. Goodspeed in the first half of the twentieth century in order to support new scholarship in the humanities. With support from the Institute of Museum and Library Services National Leadership Grants for Libraries - Building Digital Resources program, the University of Chicago Library is creating a unique digital resource based on this collection. All 68 New Testament manuscripts and an additional 114 papyri fragments will be digitized in their entirety and presented with high-quality zoomable images through an interface that supports browsing within individual manuscripts and across the collection. The Goodspeed Manuscript Collection Project continues the scholarly tradition of the Goodspeed Collection itself and will support new types of research and teaching made possible by digital technologies. 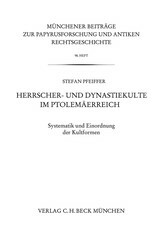 Die Veröffentlichungen der papyrologisch-rechtshistorischen Reihe, die 1915 von Leopold Wenger begründet wurde, behandeln die Themen Recht, Politik, Wirtschaft und Verwaltung in antiken Kulturen, insbesondere in ptolemäischer und hellenistischer Zeit. Insgesamt wurden bislang 109 Bände dieser Zeitschriftenreihe veröffentlicht (Stand Mai 2014), wovon ein Großteil noch lieferbar ist. 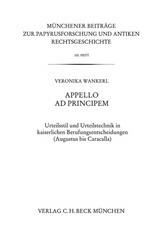 This papyrus studies series, founded in 1915 by Leopold Wenger, contributes to scholarship on the law, politics, economy and administration of ancient civilisations, notably the Ptolemaic and Hellenistic periods. So far (as of May 2014) more than 100 books have been published, most of them are still available. 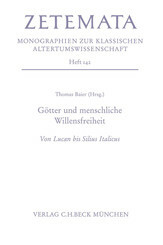 Der Verlag C.H.Beck, gegründet im Jahr 1763, zählt zu den großen und traditionsreichen Namen im deutschen Verlagswesen. 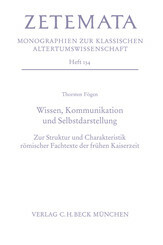 Sein Programm umfasst mehr als 9.000 lieferbare Titel und 70 Zeitschriften zu unterschiedlichsten Themen aus den Bereichen Recht, Geschichte, Theologie, Altertums¬wissenschaften, Literaturgeschichte, Kunstgeschichte, Naturwissenschaften und Wirtschaft. 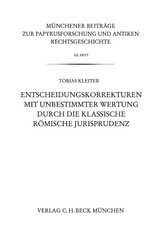 Mit einer jährlichen Produktion von bis zu 1.500 Neuerscheinungen und mehr als 14.000 Autoren rangiert der Verlag auch quantitativ unter den großen deutschen Buch- und Zeitschriftenverlagen. 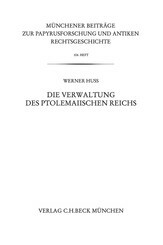 Der Hauptsitz des Verlags ist in München, Dependancen befinden sich in Warschau, Prag, Basel, Bukarest und Bratislava. Seit den späten 1980er Jahren erweitert C.H.Beck seine Publikationstätigkeit um den Bereich des elektronischen Publizierens. 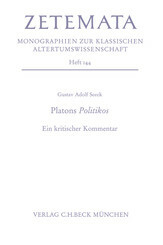 In dieser Schriftenreihe werden unterschiedliche Themen der Altertumswissenschaften, vor allem aus dem Bereich der Klassischen Philologie, aber auch der Alten Geschichte, Philosophie und der Geschichte des Faches behandelt. Begründet wurde die Reihe 1951. 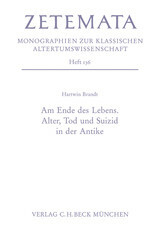 Sie wird derzeit von Eckard Lefèvre und Gustav Adolf Seeck in Verbindung mit Thomas Baier und Dieter Timpe herausgegeben. 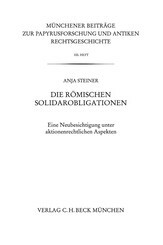 Aktuell sind 148 Bände erschienen (Stand Mai 2014), die zum großen Teil noch lieferbar sind. Homer and the Papyri, first created by Professor Dana Sutton of the University of California, Irvine, is here published in a second electronic edition. 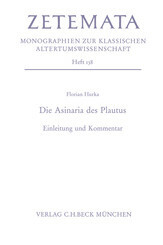 The edition consists of a database of Homeric papyri published prior to the year 2004. The database archived here was created in 2002 by Michael Jones, with the cooperation and supervision of the Stoa Consortium, edited at that time by Anne Mahoney and Ross Scaife. The database is now more than a decade old and has not been updated since 2003. 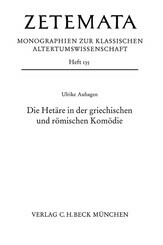 Instead, complete editions of Homeric papyri are now being published as part of the Homer Multitext project. 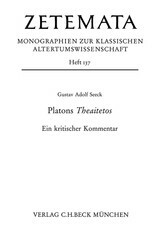 What follows is an overview of the current functionality of the two major types of searches available in this archived version of Homer and the Papyri. 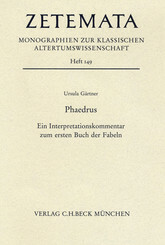 Searching for variants: Users may search for variants by specifying Iliad or Odyssey, book number, or a particular witness, as described on the Homer and the Papyri Help page and in the Introduction. Searching and generating lists of papyrus witnesses: Lists of Homeric papyri (regardless of whether or not they contain variants) can be generated by the database for the Iliad and Odyssey by simply choosing the title and selecting the "search witnesses" button. This list cannot be further specified. 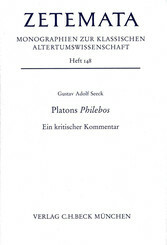 Homer and the Papyri is now part of the Homer Multitext. If you would be interested in contributing XML editions of Homeric papyri to the project, please contact the project editors, Casey Dué and Mary Ebbott. 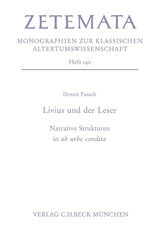 All contributions will be gratefully acknowledged and credited to their editor(s). 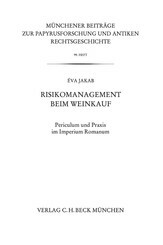 RIC volume 9 has been published to Online Coinage of the Roman Empire. This represents about 1,700 types and 3,200 subtypes. In total, there are now more than 43,000 Roman Imperial coin types in OCRE, spread over half a millennium from Augustus to Zeno. This was a huge undertaking with many collaborators from the ANS and DAI, as well as contributors of data from more than a dozen American and European cultural heritage institutions. Without generous support from the National Endowment for the Humanities, we may never have completed this project, which will officially come to a close in December. Since publishing the types to OCRE yesterday, I have begun the process of harvesting relevant coins from partner institutions. The British Museum alone has contributed an additional 11,600 RIC 9 coins to OCRE, and the total number of physical specimens linked into the project stands around 93,000. We hope to surpass 100,000 when the ANS and Fitzwilliam Museum coins are added soon. Despite the official "end" of the project (with respect to meeting the specifications of the original NEH grant application), the project will continue to evolve in a variety of ways. 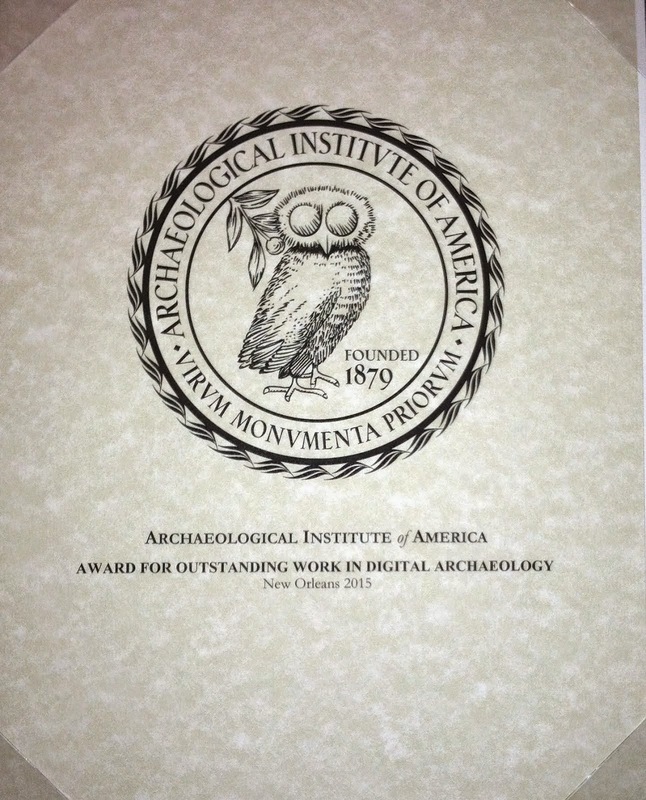 We anticipate aggregating content from more partners, especially from the archaeological community. There are more than 200,000 Roman Imperial coins in the Portable Antiquities Scheme, but so far barely over 300 have been linked to OCRE URIs. I am continuing to build more sophisticated analysis and visualization interfaces. These advancements have been implemented directly in Nomisma.org, but I anticipate porting these code updates into OCRE and various other Numishare-based coin type projects. We also plan to unveil two new features by the end of this year: an intuitive coin type identification interface that non-specialists (collectors or archaeologists working in the field) might use to identity coins, and a faceted search function for architecture depicted on Roman coinage (which extends into Republican coins in CRRO). 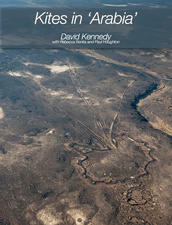 Back in 2014 we launched an iBook that brought together a lot of our research on Kites (see our blog http://www.apaame.org/2014/09/publications-kites-in-arabia-ibook.html). 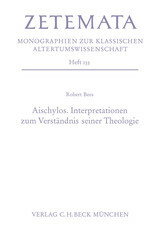 The iBook is now FREE TO DOWNLOAD! You can browse thousands of photographs of Kites from Jordan in our archive. In this book, Professor David Kennedy explores all aspects of kites and related structures from their basic function to more elaborate arrays of kites. Together with examples and case studies, he explores all aspects of these intriguing structures and the methods being employed to better understand them. In particular, the use of aerial archeology techniques from airborne photography in the early days to today’s use of Google Earth and similar tools. Prior to the aerial crossing of the Jordanian desert and lava fields of the early 20th Century, little was known in the Western world of the structures built from the basalt boulders which became known as kites. News of these structures were published in the journal Antiquity and speculation began on their purpose, composition and the various styles of structure which were being observed. Kites are formed from walls built from these boulders and form a head or enclosure and a run of walls which flow out for up to more than a kilometre. By giving to the Open Access Archaeology Fund you help to reduce the barriers to open archaeological research and advance knowledge of our shared human past. 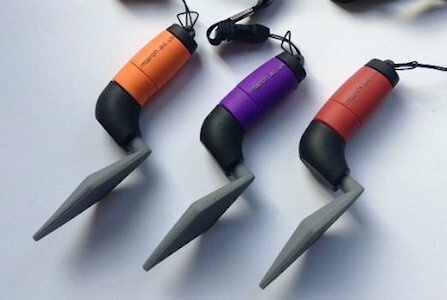 To mark our shared 20th anniversary year, Internet Archaeology and the Archaeology Data Service have combined forces to launch the Open Access Archaeology Fund, with the specific aim of supporting the publishing and archiving costs of researchers who have no means of institutional support. We are asking you to support our efforts by pledging a recurring or single gift. 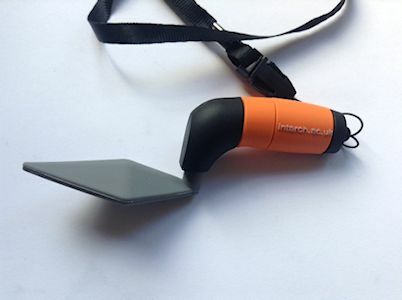 We are grateful for all gifts and to say thank you, everyone who donates over £25 will receive a token of our appreciation - one of our highly desirable red USB trowels. 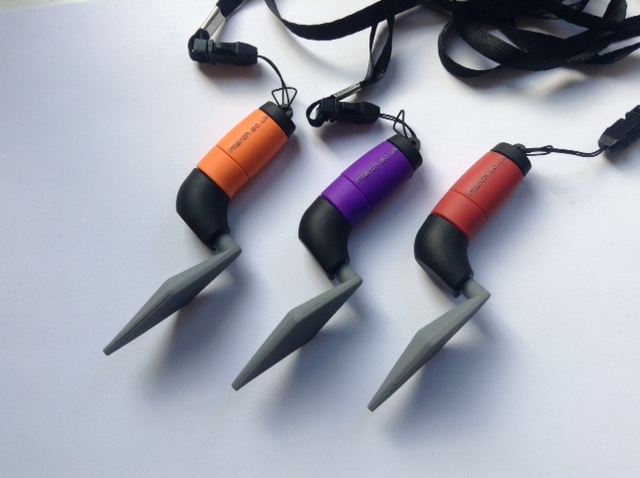 A limited number of special edition orange and purple trowels are also available for those who make donations of between £50-£74.99 (orange) and £75 and over (purple). Please allow at least 4 weeks for delivery of your trowel. Funds will be prioritised to those without means of institutional support, namely early career researchers and independent scholars who deposit an archive with ADS or who have been accepted for publication in Internet Archaeology. As the Fund develops, we will publish on this page the total raised and a list of the articles and archives assisted by your generosity.